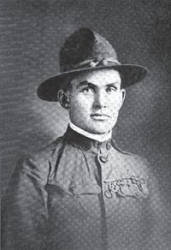 First Sergeant Johannes S. Anderson (30 July 1887 - 15 April 1950) was a U.S. Army soldier who received the U.S. military's highest award for valor, the Medal of Honor, for his heroic actions during World War I. Little is known of Johannes S. Anderson's early life, other than that he was born in Finland, and entered the U.S. Army in Chicago, IL. On 8 October 1918, while fighting near Consenvoye, France, his unit was pinned down by heavy German machine gun fire. First Sergeant Anderson volunteered to leave his unit in an attempt to flank the enemy machine gun emplacement. He made his advance under heavy fire, over open ground, reaching the emplacement and killing the machine gun crew. He silenced the machine gun, captured it, and returned with twenty-three German prisoners of war. For his heroism, he received the Medal of Honor. 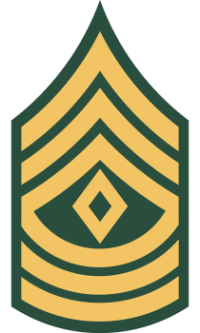 Rank and organization: First Sergeant, U.S. Army, Company B, 132d Infantry, 33rd Division. First Sergeant Johannes S. Anderson died on 15 April 1950. He is buried at Acacia Park Cemetery and Mausoleum in Chicago, IL, in Poplar Section, Lot NE 25, Block 1, Grave 2.